Em maio deste ano escrevi (aqui) sobre a futura competição a ser travada entre a TAG Heuer, tradicional fabricante de relógios top de linha, com a Apple. Na época, a TAG Heuer havia anunciado uma parceria com o Google e com a Intel. Ontem, finalmente, o novo produto fruto desta união foi oficialmente lançado. Os detalhes podem ser lidos AQUI. The Apple Watch was supposed to be a big threat to established Swiss watchmking brands like TAG Heuer, whose sporty timepieces often serve as entry level luxury choices for people buying their first “real” watch. You can pick up a simple TAG Formula 1 watch, in stainless steel, quartz-powered, for less than $1,000. A comparable Apple Watch, once you add the $450 stainless-steel bracelet, comes in around $1,000. But of course you can spend a lot less. And the Apple Watch does a whole lot more than tell the time, which is about all the TAG F1 does. When you move up to Omegas and Rolexes, with automatic movements and much more status appeal, you’re talking $4-8,000. Properly cared for, the Tag will last pretty much forever. So will the Omegas and the Rolexes. The Apple Watch, pointedly, probably won’t. But the thinking before the Apple Watch launch was that Omega and Rolex were safe, whereas TAG wasn’t. If your timepiece has to say something about your taste, better to do it later with a Rolex and wear a smartwatch on a daily basis. See ya later, TAG. TAG Heuer CEO Jean-Claude Biver clearly took this dire prediction to heart and set TAG on a course to this week introduce what to my eye looks like the first real competitor to the Apple Watch to emerge from watchmaking’s traditional Swiss stronghold: the Tag Heuer Connected. Ironic, isn’t it, that the company the Apple Watch was supposed to do in (TAG is part of the luxury conglomerate LVMH) could be its first meaningful foe in the smartwatch wars? When you get right down to it, smartwatches aren’t quite ready for prime time. On CNBC, Biver noted with astonished enthusiasm that since the Apple Watch was introduced, it’s sold million of units. This from a company that had never had anything to do with watches before. Still, even the Apple Watch is basically just a watch without an iPhone to add to its functionality. And, from my perspective, not a very good watch. I’m actually not sure that Apple even knows what do with the thing, long-term. I haven’t yet handled the TAG Heuer Connected, but it looks like the nicest smartwatch on the market (the $15,000 Apple Watch Edition, in gold, notwithstanding). Critically, it isn’t trying to avoid being a watch. Powered by the Android Wear operating system and Intel processors, the TAG is built like a watch, with a lightweight titanium case and a rubber strap that comes in various different colors. As with most high-end watches, there are Tag logos on the crown and the clasp on the band — small details that matter to true watch fans. It can’t say “Swiss Made” on the dial (it’s built in Asia), but it can say “Swiss Engineered” on the case. The clincher, however, is the dial, where Swiss heritage finally gets an opportunity to push back against Apple. The Connected’s face is designed to refer very explicitly to TAG’s most famous watch, the Carrera chronograph, created by Jack Heuer as a tool for motorsport (“Carerra” recalls the Carerra Panamericana, a road race run in Mexico in the 1950s; the chronograph function allowed for relatively precise timing). Several additional face designs can also be activated. To be sure, the Apple Watch can show different faces and complications, but only TAG can really display, with crediblity, what many watch lovers consider to be among the greatest timepiece designs in history. The Connected also comes with an interesting piece of upselling marketing, which at base is kind of passive-aggressive. At $1,500, it isn’t cheap. It will also, like all smartwatches, probably lose some functionality as it ages (it has to be recharged daily, just like the Apple Watch). But TAG has created an intriguing trade-up option. After two years, for an additional $1,500, you can unload the connected for a similar Carerra design that has a mechanical movement. So you wind up having spent $3,000, a bargain in the luxury watch world, for a groundbreaking smartwatch that you may not like that much plus, potentially, a well-regarded modern version of TAG’s best-known watch. Sure, maybe you’ll want to upgrade to the next version of the Connected, and maybe you won’t. But if you don’t, TAG will send you home with a fine timepiece that could last decades. Yes, a bit passive-aggressive. But also savvy. TAG’s goal here is to stay in the game as smartphones become more popular while simultaneously tapping the ambivalence that luxury watch enthusiasts have for wearable tech. If you’re going to wear something, make it a great Swiss watch. And if you do that, you don’t have the wrist real estate for a smartwatch. The TAG Connected is the best of both worlds, although to be sure if you’re buying a smartwatch you may decide that the Apple Watch OS is simply too compelling to avoid. That said, a product has finally hit the market that could give the Apple Watch a run for its, and your, money. A íntegra da análise pode ser lida AQUI. Achei que a análise do Business Insider foi inteligente, assim com a estratégia da TAG Heuer. Julgando pelos argumentos que foram apresentados neste texto, sou obrigado a concordar que a Apple vai ter mais dificuldade para enfrentar este produto do que os “smartwatches” que já estavam no mercado, especialmente os da Samsung e da Motorola. Afinal, a TAG Heuer tem uma reputação de qualidade e design que pode não apenas concorrer de frente com a da Apple, mas até mesmo subjugá-la. Money is power, but it isn’t the only measure. Power is also about having influence over people and the global conversation. Corporations wield enormous amounts of resources and influence, so Business Insider ranked the 50 most powerful in the US. In determining the ranking, we examined four factors: fiscal 2014 revenue, number of employees, press mentions on Google News over the past year, and social media influence, as ranked on a scale of 1 to 100 by Klout, a site that analyzes social-media influence of companies and individuals across all platforms. You can read our full methodology here. The combined group boast a stunning $4.6 trillion in annual sales and employ more than 10.4 million people. Leading the way is Walmart, the world’s largest retailer, followed by Target, General Electric, Amazon, and Microsoft. Os detalhes sobre a metodologia deste ranking, bem como a tabela completa, podem ser vistos AQUI. 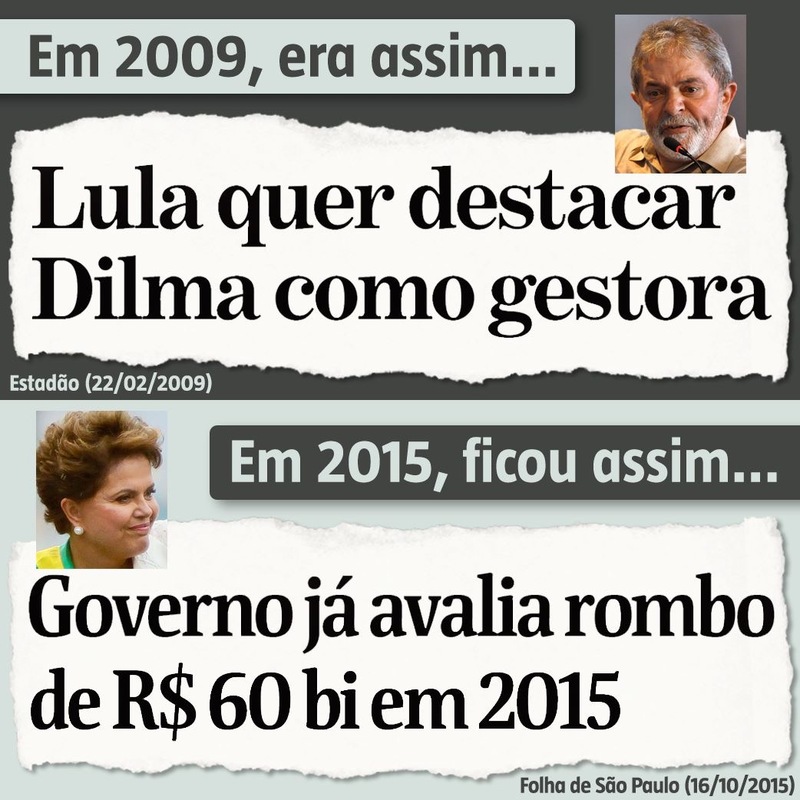 A crise econômica criada pelo PT, Lulla e Dilma está arrasando o varejo – e vai piorar! O BTG Pactual fez relatório nesta segunda-feira (19) sobre o setor de varejo. 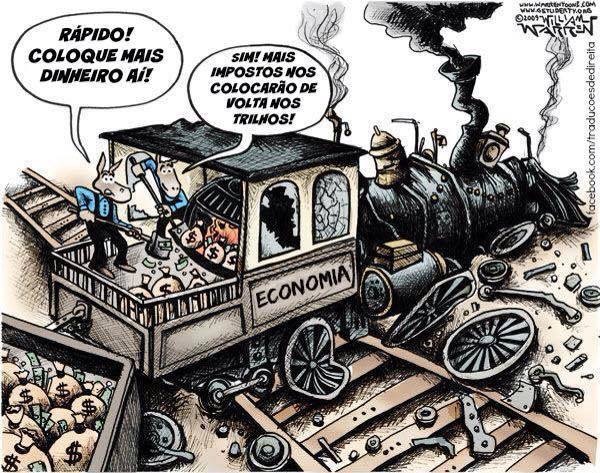 Para analistas do banco, a volatilidade nos lucros continua e a má notícia é que o segundo trimestre não foi o fundo do poço: ainda tem mais por vir (e vai piorar). O banco estima queda de 55% no lucro líquido das varejistas no período quando comparado com o mesmo trimestre de 2014. Um resultado que será impactado basicamente por seis empresas: Pão de Açúcar (PCAR4), Via Varejo (VVAR11), Magazine Luiza (MGLU3), Hypermarcas (HYPE3), Restoque (LLIS3) e Natura (NATU3). Essas seis empresas serão responsáveis por 97% da queda do lucro no setor. Por outro lado, devem se salvar apenas Raia Drogasil (RADL3), CVC (CVCB3) e Lojas Renner (LREN3) – as três que sinalizam crescimento no lucro no período, aponta relatório dos analistas Fabio Monteiro e Thiago Andrade. Eles acreditam que Via Varejo, Pão de Açúcar e Magazine Luiza são as mais impactadas no setor atual, de expectativa de vendas no segmento “mesmas lojas” (lojas abertas há, no mínimo, um ano) bem negativa e queda substancial no lucro. Na mesma linha, eles apontam que Cia Hering (HGTX3) e Natura enfrentam vários problemas micro e competição acirrada, o que contribuirá para um resultado pior. Quase (repito: QUASE) sinto pena da Luiza Trajano. Porém, como sou acionista do Magazine Luiza e ela tem feito e falado muitas bobagens, não consigo. O comércio tem uma agenda destinada a manter o ritmo constante da atividade. Vale-se de datas comemorativas, como Dia das Mães, dos Pais, da Criança, Natal, réveillon, Páscoa e carnaval, entre outras. Neste ano, nem promoções e liquidações presentes em quase todos os segmentos bastam para sustentar a atividade. Como de costume, parabéns aos imbecis que votaram 13.